Nearly a decade after Google launched its self-driving car project, the company's efforts to commercialize autonomous technology will finally come to fruition. 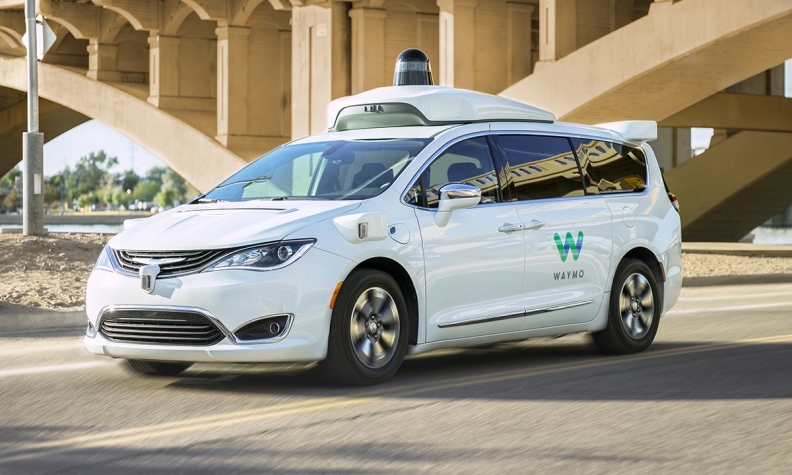 Starting today, Waymo, the subsidiary spun from Google to handle autonomous driving, intends to offer commercial service with its self-driving, Canada-made Chrysler Pacifica hybrid minivans. The service is called Waymo One. Approximately 400 riders who participated in the company's pilot program in the greater Phoenix area will have first crack at using the minivans, which were initially assembled at FCA's Windsor Assembly Plant in Windsor, Ont. The vehicles can be hailed via an app 24 hours a day and be used to travel around Phoenix and four of its suburbs. "We're taking the next step in our journey with the introduction of our commercial self-driving service," John Krafcik, Waymo's CEO, wrote in a blog post introducing the start of service. "Self-driving technology is new to many, so we're proceeding carefully with the comfort and convenience of our riders in mind." Human safety drivers will remain in the vehicles for the time being, the company says. It's unclear when their role will no longer be needed. Other questions remain regarding launch of Waymo's commercial service. Though there are 600 Chrysler Pacificas in the company's nationwide fleet, Waymo declined to say exactly how many will be used in the initial phase of commercial service in Phoenix. The company said it is keeping the launch group intentionally small, because it does not know how much demand will be for the robotaxis. Waymo did not offer much in terms of detail on how much the service will cost. Riders will see price estimates before they accept a trip, based on factors including time and distance to destination. The minivans can carry up to three adults and one child at a time. But the service, which will begin around metropolitan Phoenix and include the suburbs of Chandler, Tempe, Mesa and Gilbert is just the beginning. Beyond the ride-hailing service, the company's plans include entrants into the autonomous truck market, autonomous deliveries and licensing its technology to other companies. All told, Morgan Stanley analysts said the company's valuation could be US$175 billion. As commercialization appeared on the horizon, Waymo started a pilot project examining delivery services with Walmart earlier this year. Last year, it partnered with AutoNation and Avis Budget Group on fleet maintenance. The launch of Waymo One will allow the company to start tackling nontechnical challenges faced with self-driving cars, said Karl Brauer, executive publisher for Kelley Blue Book and Autotrader. "Waymo's early rider program is allowing the company to identify these issues, and its new Waymo One service will expand the company's feedback system into a real-world business application," he said. "In the race for the self-driving car this information is invaluable." Earlier this week, Waymo tapped Deborah Hersman, the former chairman of the National Transportation Safety Board and president of the National Safety Council, to be the company's chief safety officer. Waymo started its early-rider program in Phoenix last year to glean insights from a select group of consumers as it ramped up its plans. Even as it launches and expands commercial service, that early-rider group will remain intact. "We're never done learning, and our early rider program will continue as a way for a select group to give us ongoing insights," Krafcik wrote. "They'll help test early features before graduating to Waymo One where new capabilities can be accessed at scale by the public over time."